For many artists, recording is an essential part of the development of a song. Whether you plan to release a single, EP or full length album, artists agree that it is important to have tangible samples of your work at hand. 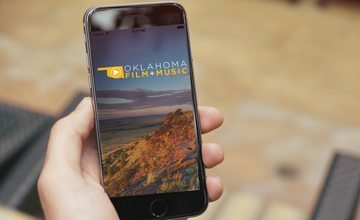 For a comprehensive list of recording studios across the state, please visit the Oklahoma Music Directory. Once an album, EP or single has been recorded, multiple options are available for the recording to reach the general public. Whether an artist is working independently or with a record label will dictate how funds generated by record sales are distributed. Copyright is a form of protection provided by the laws of the United States (title 17, U.S. Code) to the authors of “original works of authorship,” including literary, dramatic, musical, artistic and certain other intellectual works. This protection is available to both published and unpublished works. According to U.S. Copyright law, a new creative work is copyrighted at the moment of creation and all rights for that work reside with the creators immediately. However, registering your copyrights with the U.S. Copyright office provides a level of proof as to the creation of the work. 2) Sound Recording: results from the fixation of a series of musical, spoken, or other sounds. The author of a sound recording is the performer(s) whose performance is fixed, or the record producer who processes the sounds and fixes them in the final recording, or both. Copyright in a sound recording is not the same as, or a substitute for, copyright in the underlying musical composition. Although they are separate works, a musical composition and a sound recording may be registered together on a single application if ownership of the copyrights in both is exactly the same. All copyright applications are handled through the Library of Congress. The electronic form eCO is the most current form for song registration. Please see this list of frequently asked questions regarding copyrights. A music publisher works with songwriters to market and promote their songs. Music publishers “pitch” songs to record labels, movie and television producers and others. The National Music Publishers’ Association explains music publishing in greater detail. Music licensing refers to the process of obtaining permission to use a copyrighted work. ASCAP, BMI and SESAC are the three main performing rights organizations in the United States. Members of these organizations receive royalties when their music is used commercially. You may also contact them to determine the current publisher of a song or to access resources for licensing and royalty distribution. HFA is now the nation’s leading provider of rights management, licensing and royalty services for the music industry and issues the largest number of mechanical licenses on behalf of its affiliated publishers for the use of music in both physical and digital distribution formats. SoundExchange is the independent nonprofit performance rights organization that collects and distributes digital performance royalties to featured artists and copyright holders. The ISRC is the international identification system for sound recordings and music video recordings. Each ISRC is a unique and permanent identifier for a specific recording, independent of the format on which it appears (CD, audio file, etc) or the rights holders involved. Encoded ISRC provide the means to automatically identify recordings for royalty payments and is recommended for all music producers by the International Federation of the Phonographic Industry (IFPI). All successful musicians must market themselves to some degree. Whether promoting a new release or upcoming performance, there are several resources that can be considered. Please note that this is not a complete list, but offered as a starting point. Planning a live music event involves plenty of forethought and many communities require permits for such events. See below for permit information in some of Oklahoma’s largest cities. If you do not see your community listed, please contact your local municipality or chamber of commerce for more information. Artists have a variety of resources available to assist with fundraising for music projects. Depending on the nature and scope of the project, the following are offered as a starting point for artists looking to raise funds for their music projects. Please visit the links below for more information. If you are looking to access or join an organization with ties to the music industry, please visit the links below for more information. ACM@UCOlink At ACM@UCO, students connect directly to the music industry through auditions, live performances, showcases and an online database of talent. Northwestern Oklahoma State Universitylink The music program of Northwestern Oklahoma State University prepares students majoring in music to accept the challenge of leadership in music and the arts amid the ever-changing face of society. The dedicated faculty help students experience the highest aesthetic order, thereby empowering graduates to be outstanding performers and dedicated educators. Northeastern State Universitylink NSU’s Music Department has a mission to provide undergraduate education leading to the Bachelor of Arts degree (with options in Musical Arts, Music Business, Performance and Jazz Studies) and Bachelor of Music Education degree. Oklahoma City Community Collegelink OCCC’s two-year Associate Degree program in music develops skills in important areas such as theory, performance and individual and group applied music, all while enjoying modern facilities, including a Kurzweil Electronic Piano Laboratory with individual MIDI stations, practice rooms and a 250-seat theatre for performances. Oklahoma City University – Wanda L. Bass School of Musiclink With two undergraduate tracks, Oklahoma City University’s Wanda L. Bass School of Music programs are designed to develop comprehensive musical skills and literacy with subjects such as instrumental performance, music theater, vocal performance, music education, composition, music business and piano pedagogy. Oklahoma State University – Department of Musiclink The Department of Music at Oklahoma State University is fully accredited by the National Association of Schools of Music, and is proud to offer a wide variety of degree programs that prepare students as emerging music professionals in a wide variety of career paths. Oklahoma Summer Arts Institutelink The Oklahoma Summer Arts Institute (OSAI) is an intensive 2-week residential school that provides professional training to artistically talented OKLAHOMA HIGH SCHOOL STUDENTS, including graduating seniors, in the visual, literary, and performing arts. Oral Roberts Universitylink Students who wish to major in music at ORU are preparing for one of three degrees: Bachelor of Music Education; Bachelor of Music with a major in Performance, Sacred Music, Composition or Composition Technology; or a Bachelor of Arts in music with emphasis in Music Arts or Music Technology. Southwestern Oklahoma State Universitylink Southwestern Oklahoma State University is home to one of Oklahoma’s largest music schools. SWOSU offers undergraduate degrees in Bachelor of Music Education and Bachelor of Music; the Graduate Division of the department offers the Master of Music in Performance, the Master of Music in Piano Pedagogy and the Master of Music in Music Education. The Halsey Institutelink Offering online courses, the Halsey Institute’s programs are designed to educate, stimulate and motivate those interested in pursuing a career in the music and entertainment business. This includes important curriculum, firsthand methods, formulas and practical knowledge from internationally respected Impresario Jim Halsey, with in-depth interviews via video, advice and instructions featuring other industry V.I.P.’s. University of Oklahoma – School of Musiclink The OU School of Music offers degrees at the bachelors, masters and doctoral levels in all areas of music performance, composition, education, history and theory.